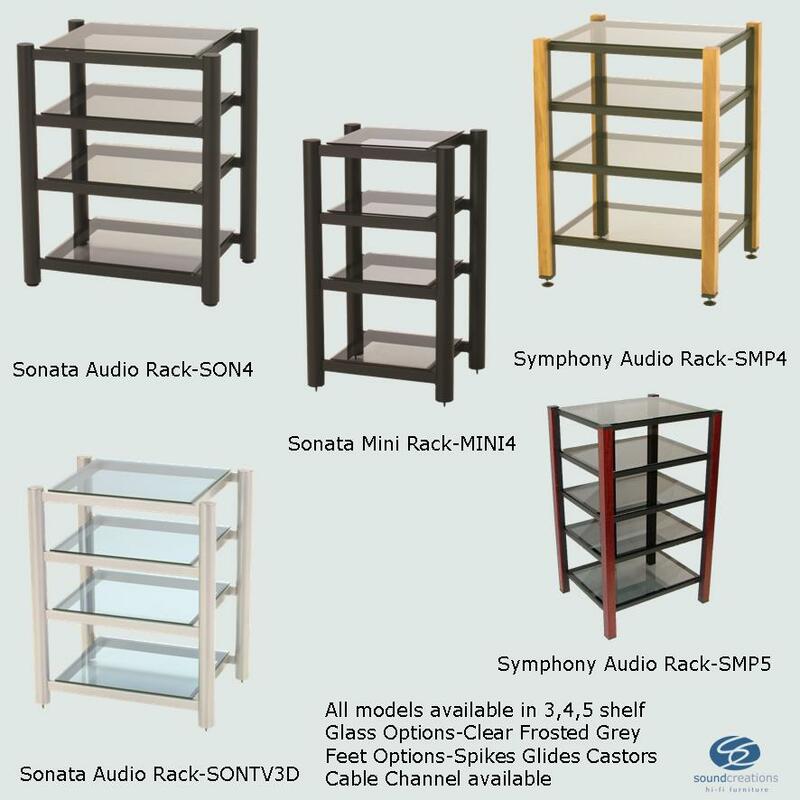 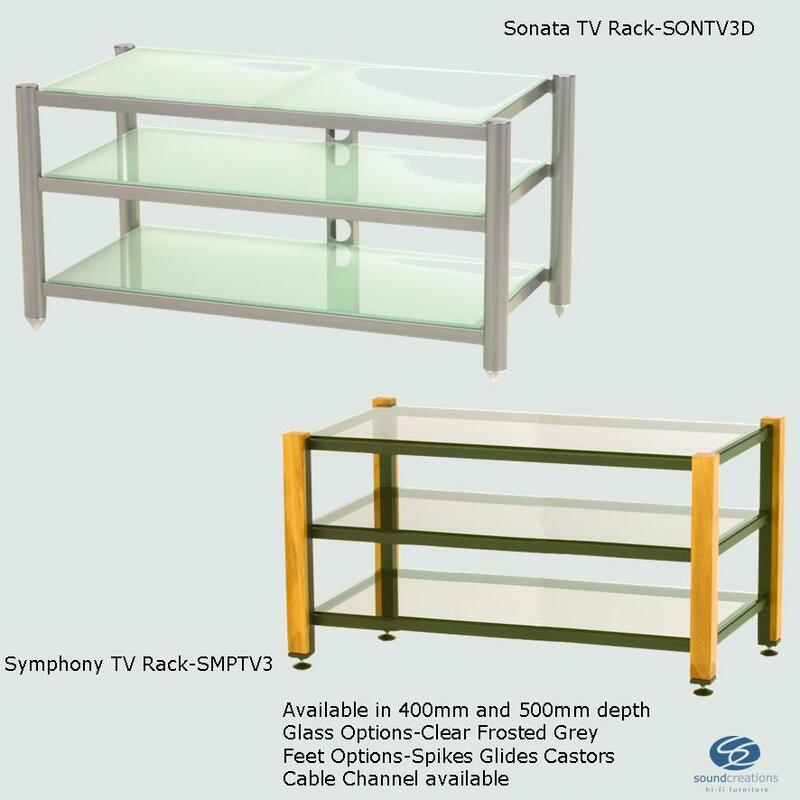 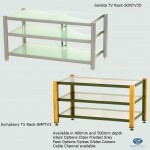 Sound Creations Audio and TV racks are finished in a selection of colours. 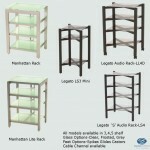 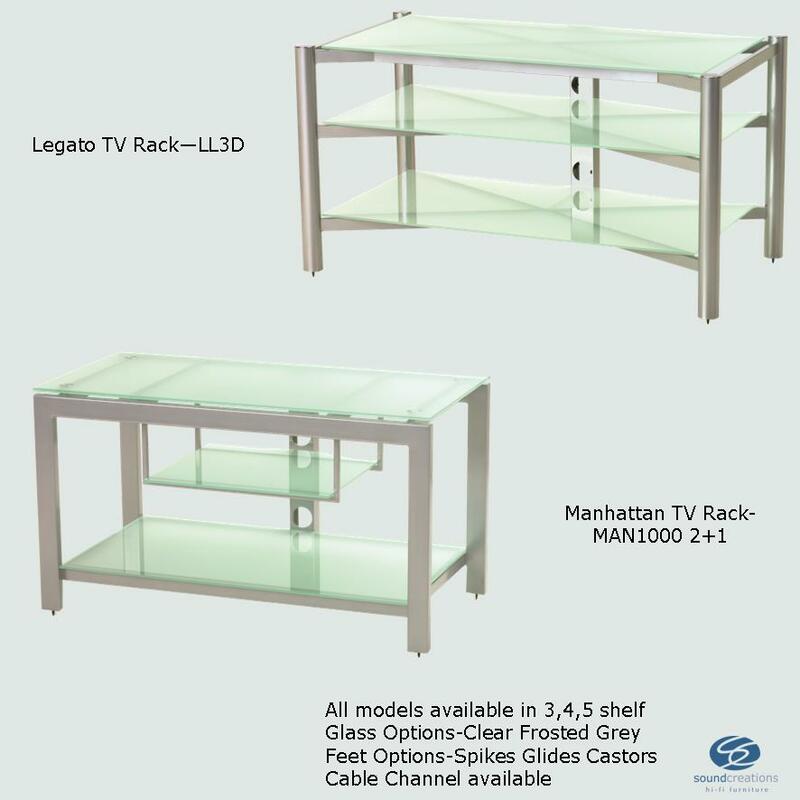 Rack glass shelves are available in clear, frosted and a collection of complementary coloured glass options. 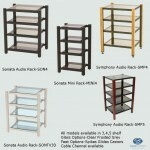 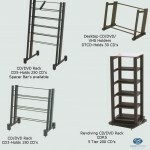 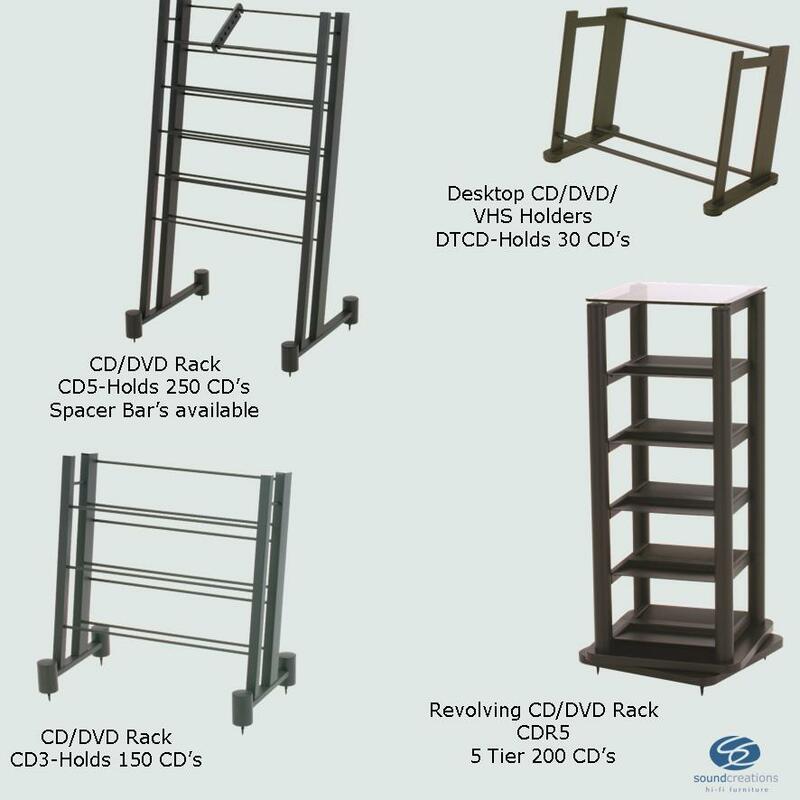 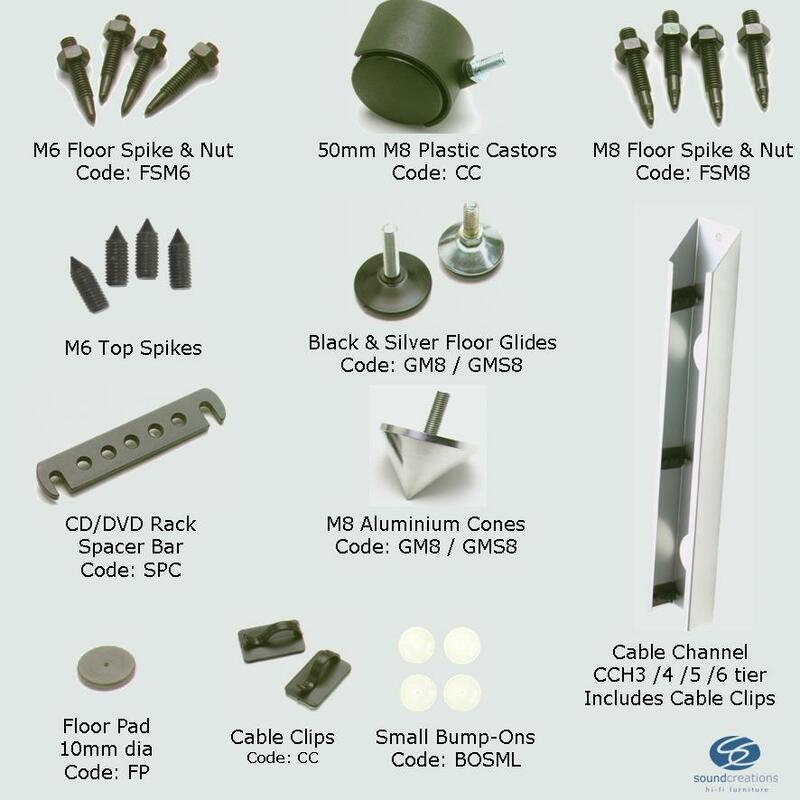 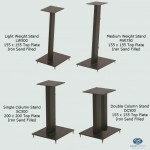 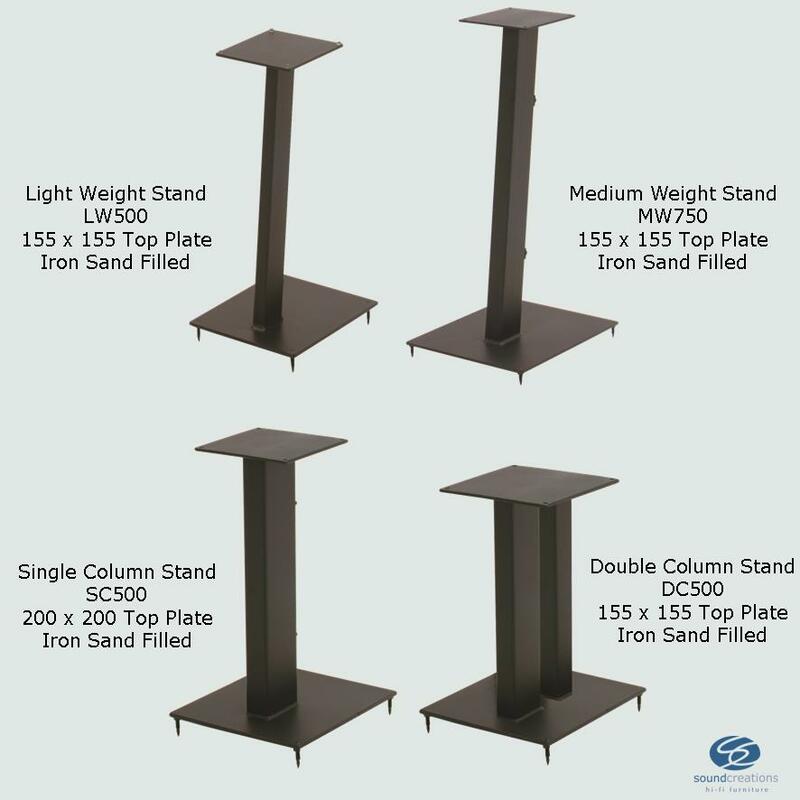 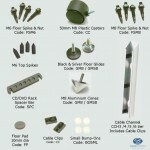 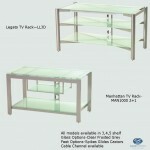 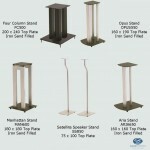 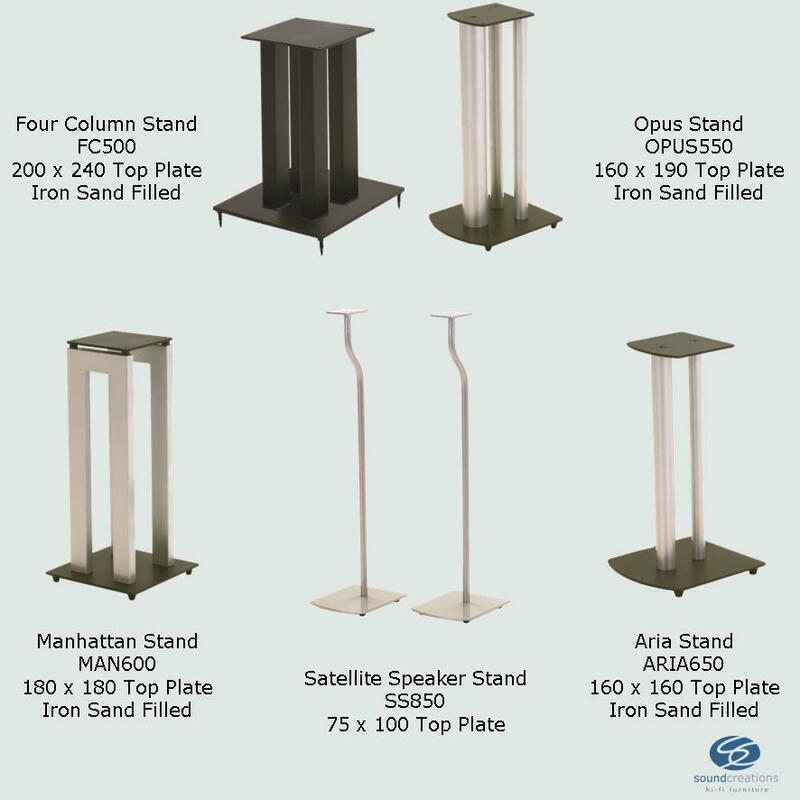 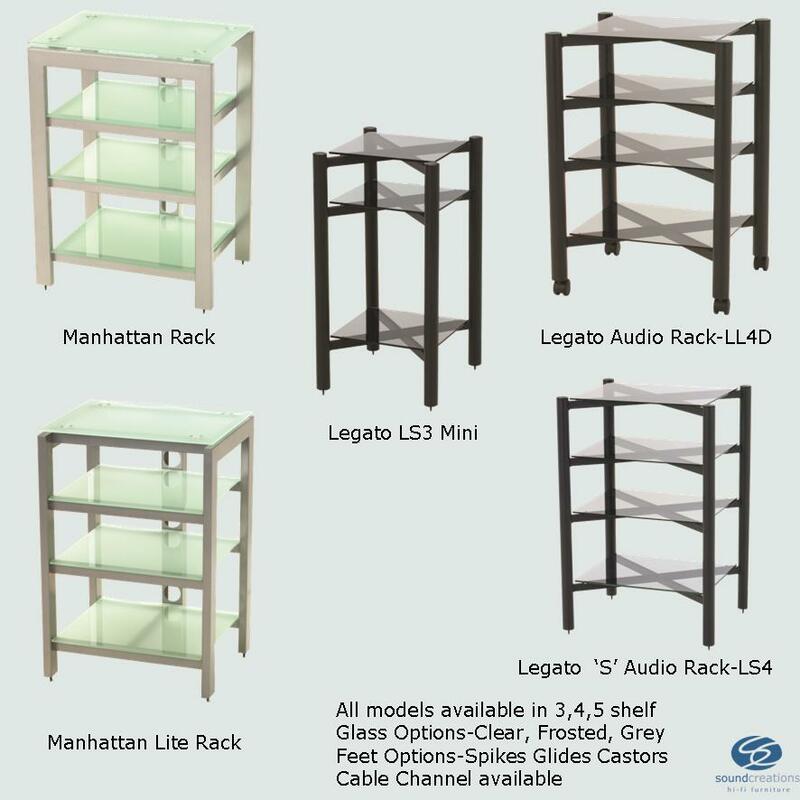 In addition, the range includes speaker stands, CD/DVD storage and accessories.